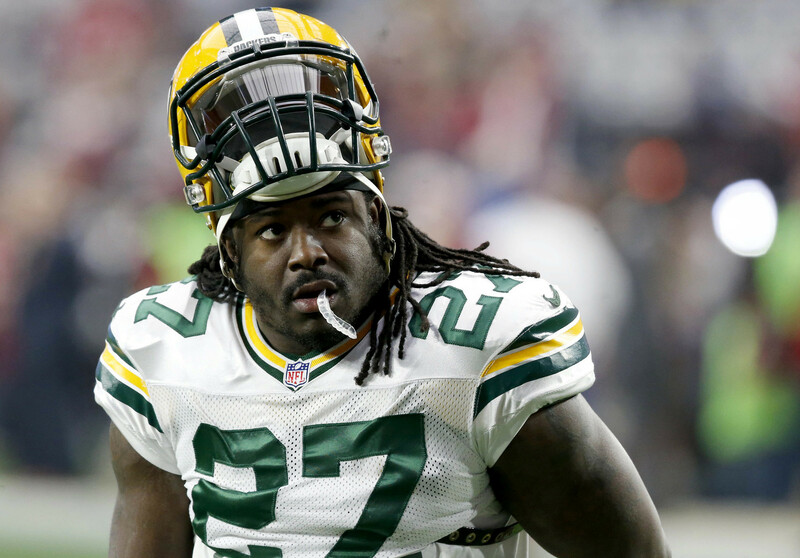 On Friday, Pro Football Talk reported that former Packers and Seahawks running back, Eddie Lacy, met with and worked out for the Baltimore Ravens. Lacy, the former second-round pick, was considered one of the best running backs in the NFL during his first few seasons. But, after an ankle injury suffered in 2016, Lacy would never be the same. He had trouble keeping his weight down, and never fully returned to form. He signed with the Seattle Seahawks on a one year, $5.5 million contract in 2017. Lacy struggled that season, however, and would not return to Seattle. He remained a free agent for all of 2018. The news comes as the Baltimore Ravens are working to finalize plans for the running back corps for 2019. Just yesterday, the Ravens met with Josh Jacobs and Damien Harris, two of the draft class’ top running backs. If the Ravens decide to bring in Eddie Lacy, his addition would not prohibit the Ravens from drafting either of the two. Lacy would hypothetically be signed to an inexpensive contract. His recent injury history and weight problems would prevent the Ravens from giving him a significant monetary deal. Lacy could be a training camp tryout for the Ravens but likely would not make the final roster in a crowded backfield. The Baltimore Ravens currently have Mark Ingram, Gus Edwards, and Kenneth Dixon. Lacy could fit well into the offense, as he matches the power running scheme the Ravens are developing with Ingram and Edwards. Lacy would have to jump through many hurdles to make the Ravens final roster if signed, but Baltimore may be his last chance to return to the NFL. Whether or not the Ravens decide to give him a chance, only time will tell. Until then, the Ravens will continue doing their due diligence in building a team for next year. Previous Previous post: Could the Ravens Draft a First Round Running Back?